Rob Stokes at the Newport land this week - photo supplied. 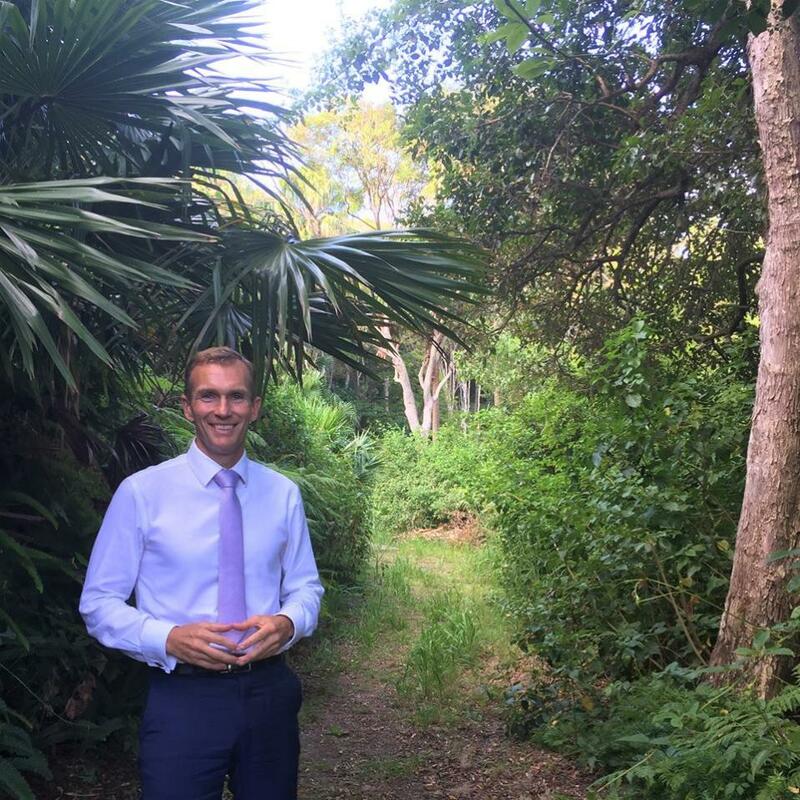 Minister for Planning and Housing Anthony Roberts and Member for Pittwater Rob Stokes today announced the NSW Liberals & Nationals Government will work with Northern Beaches Council and landowners to secure more green space at Hillside Road, Newport for the Pittwater community. The site is being secured under the NSW Government’s $340 million Open Spaces and Greener Sydney package to make NSW communities more liveable and green. Mr Stokes said, “this is an important step for the Pittwater community to secure this environmentally significant land in public ownership. “Local residents and community groups have correctly identified the importance of this area and the reasons it should be retained and preserved,” he said. "This land is an echo of what Newport has looked like for thousands of years and I’m delighted we have an opportunity to secure it in public ownership for future generations." The land is a corridor extension to other important local habitat and biodiversity rich areas, containing a significant littoral rainforest and adjoins the Bilgola Escarpment which comprises Attunga Reserve, Hewitt Park, Hamilton Estate and Porter Reserve. Mayor Michael Regan Northern Beaches Council said, “We know people in our community love spending time outdoors, in our local parks and reserves and exploring our magnificent environment. This commitment will go a long way to maintaining and improving this lifestyle. “We look forward to working with all parties involved to provide a new fantastic community green space that can be enjoyed and admired by all local residents,” he said. From Palm Beach To Pasadena: Mick Glasheen's Drawing On The Land - GARIGAL COUNTRY Opens (to raise funds to support purchase of endangered littoral rainforest above Porter Reserve, Newport, so that it may be integrated into the adjoining Attunga and Porter Reserves.